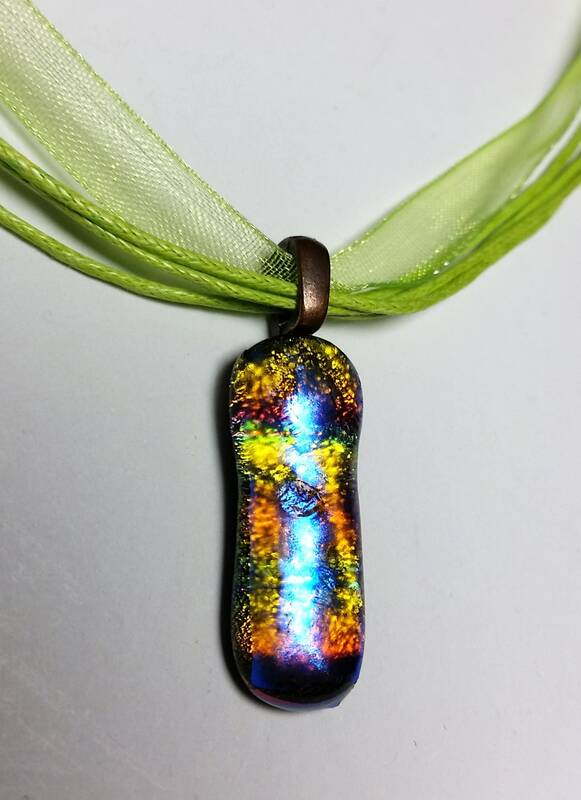 This dichroic rectangular shaped pendant has most of the colors of the rainbow randomly scattered atop a layer of black glass. 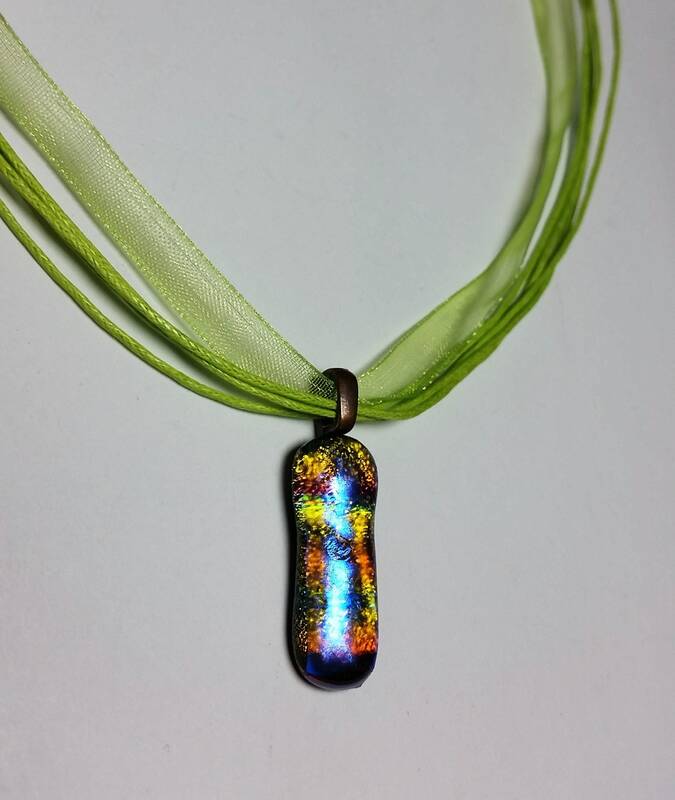 The colors are metallic and covered with layers of clear class. 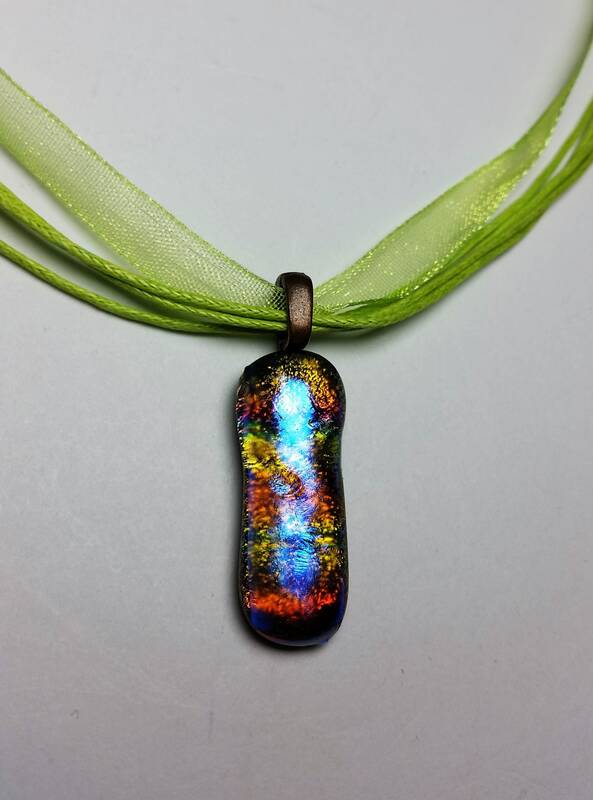 They sparkle and bedazzle as the light strikes the pendant at various angles. 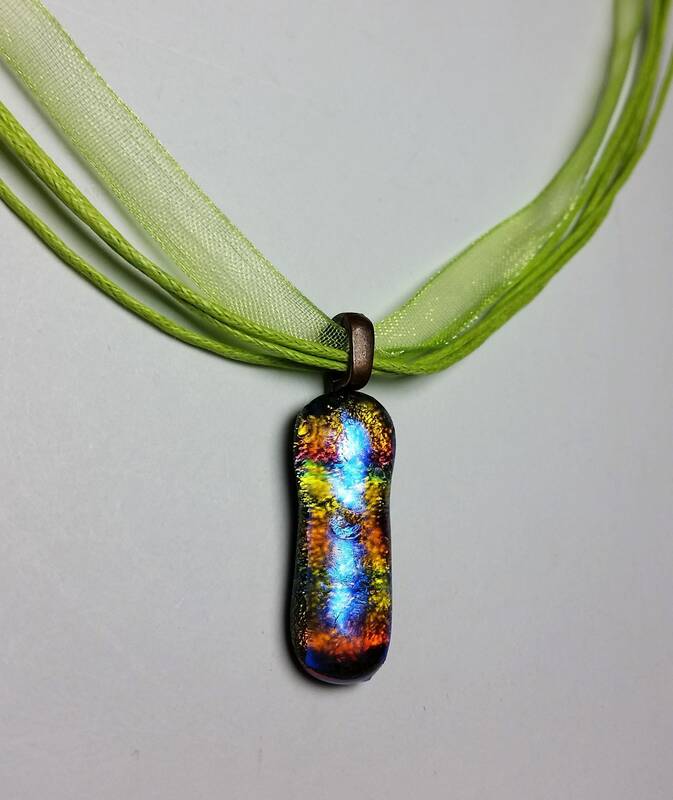 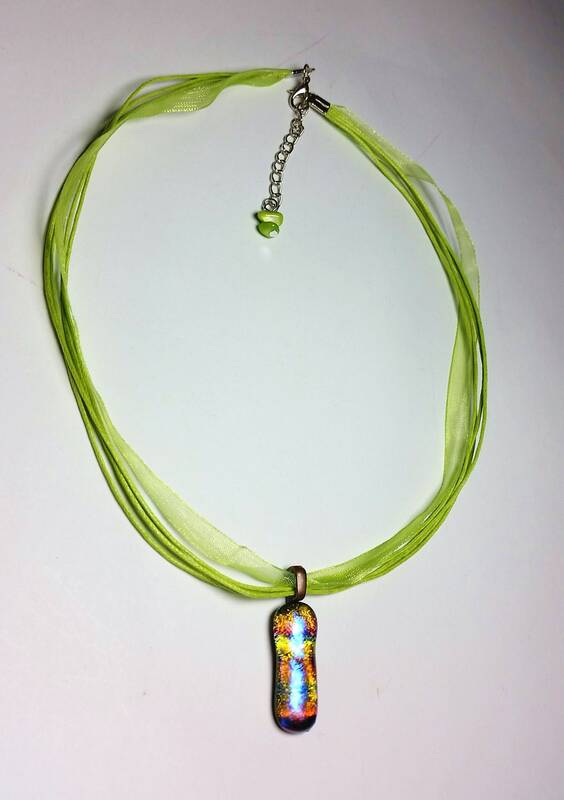 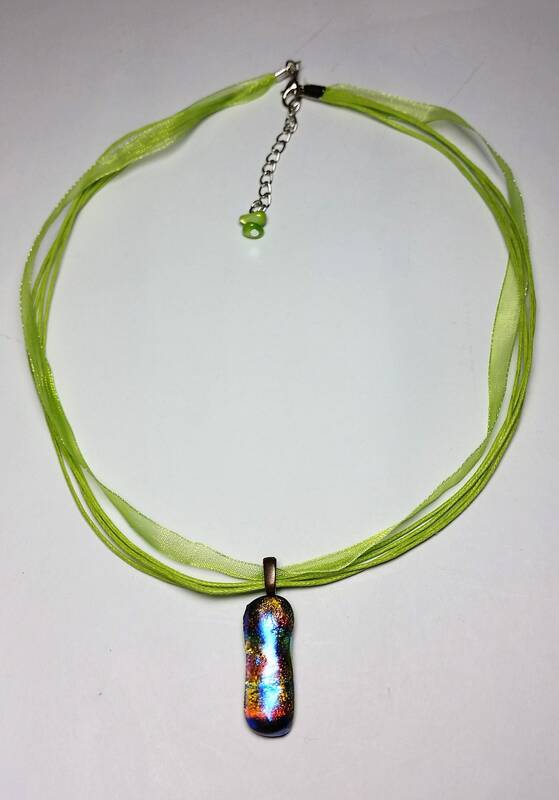 This pendant has an antique copper bail at the top that is attached to a soft ribbon necklace with an extender chain; thus the ribbon necklace length is 17.5 - 20 inches in length.